A new report by research firm Strategy Analytics has revealed that Finnish mobile manufacturer Nokia became the world’s biggest Windows Phone vendor in the fourth quarter, as global shipments grew 36% to top 2.7 million units. Accounting for almost a third of all Windows Phone shipments (33.1%), Nokia captured the top position for the first time in its history — replacing Taiwanese vendor HTC — helped by sales of its Lumia 800 and Lumia 710 smartphones which both launched in November 2011. Strategy Analytics puts Nokia’s global Windows Phone shipments at around 0.9 million units, although the company itself announced that it had sold over 1 million units in its fourth quarter financial report. It’s no surprise that Nokia has overtaken HTC; the Taiwanese company has been forced to go back to basics over the past two quarters after smartphone sales plummeted in the wake of increased competition from Apple and Samsung. HTC has said itself that it will focus on ‘hero’ smartphones, looking to overall experiences rather than trying to release a large number of handsets with slightly increased specifications. As a result, the company is likely to pull back on its Windows Phone plans this year. 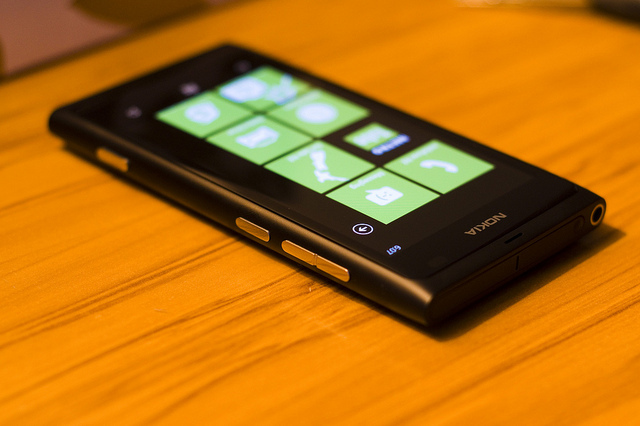 Nokia also has an exclusive agreement with Microsoft to license the Windows Phone platform. 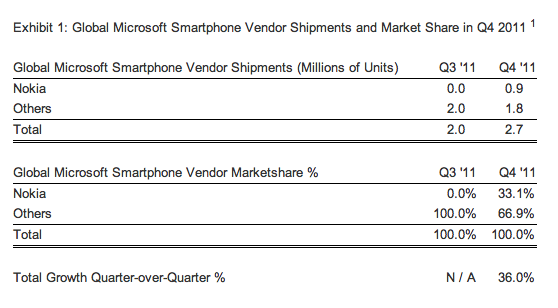 If it wasn’t the top Windows Phone manufacturer in the last quarter, serious questions would have to be asked as to its ability to compete in the global smartphone market.